Diet is the most important thing in order for you to get well, stay healthy, and end your prostate troubles. Diet can literally cure disease. A natural, wholesome diet that is wholegrain-based, and low-fat can actually eliminate prostate infection, enlargement, and even super “serious” prostate problems. You should read the book by actor Dirk Benedict (the handsome guy on the TV show The A-Team) titled Confessions of a Kamikaze Cowboy. Dirk was diagnosed with “serious” prostate problems in his early thirties. So severe were his problems that his doctors wanted to have him castrated. He decided to pass on the doctors advice and instead dramatically changed his diet, going on a “macrobiotic” diet. This means a diet of whole grains, beans, vegetables, salads, soups, fruits and seafood. He stopped eating red meat, eggs, poultry, dairy products and any and all sugars and sweets. He cured himself in just seven months and today he is in his late sixties and still rolling along! Diet is number one. There are countless studies and articles and medical research on the importance of a low-fat, wholegrain-based diet. Pills and supplements are terrific, but if you eat like crap, they won’t be that effective. Specifically, you need to avoid or at least dramatically reduce your intake of many of the foods most of us love – red meat, chicken and all poultry, eggs, sweets, and dairy. These foods are a killer! Literally. The countries with the lowest rates of prostate cancer are the countries with the lowest fat diets. And the countries with the high fat diet are the counties with the highest rate of prostate cancer. Read the book The China Study. They followed men who moved from China where they had practically zero prostate cancer because of their low fat diet, who moved to the United States. The men who stayed on a low fat diet and ate like they did in China continued to experience an extremely low rate of prostate cancer. And the men who left China and adapted to an American diet – a diet that is high fat – saw their rates of prostate cancer zoom up. So diet is number one. Everyone wants the magic bullet. The pill that will solve all your prostate problems instantly. Well even a great pill like ProstaGenix won’t help much if you eat like crap, are way overweight, smoke, and get drunk every night. 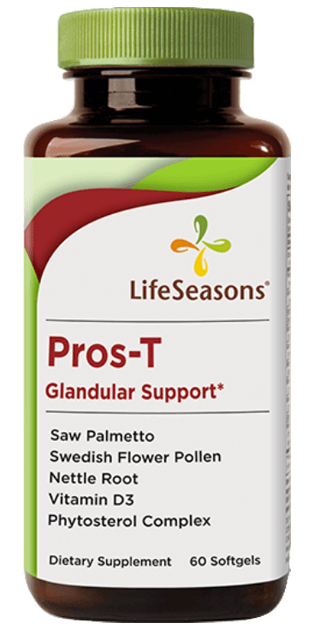 But if you are generally sensible about your diet, and overall health a top supplement can do wonders for your prostate troubles and keep your prostate in good shape going forward. Make sure you avoid Saw Palmetto and Lycopene. These two ingredients have been touted for years as prostate super pills. Well, this is simply not true. If you have ever taken a saw palmetto product, it is an absolute Lock-Of-The-Year that it didn’t work for you. Saw Palmetto is the biggest joke, scam, overrated ingredient in the industry. 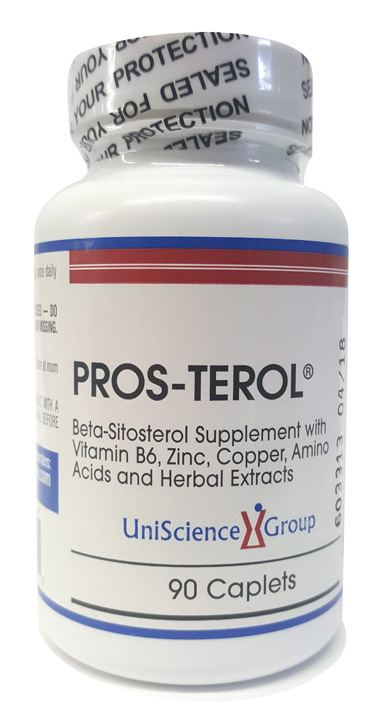 Sterols – specifically Beta-Sitosterol is what is MOST important for your prostate. There is very little Beta-Sitosterol in saw palmetto. There is some, but very small amounts. Saw palmetto gained a great reputation as a prostate healer because of a few studies that were done in Europe twenty years ago. Studies showed that saw palmetto was able to reduce the size of the prostate, reduce urgency, help you sleep better and improve your overall prostate health. Sounds great right? But what wasn’t reported by the companies selling saw palmetto, is that the amount of saw palmetto in the pills the men in the study were taking was enormous! It was an extraction that was so compressed it was like the equivalent of 5 bottles of the saw palmetto sold in drug stores .. in one pill! So it is incredibly misleading. Saw palmetto is an overrated joke and waste of money. Again, if you have tried it I’m sure you didn’t see much improvement. Beta-Sitosterol is the KEY ingredient for prostate health. That is why we place so much emphasis on testing for Beta-Sitosterol. All other ingredients are secondary. Also, avoid Lycopene. Virtually every single study done on Lycopene that shows favorable results is either sponsored by the Lycopene company or the tomato industry. These “studies” are little more than paid advertisements disguised as studies. There was a REAL study done at Harvard Medical School that you don’t hear much about that shows Lycopene was a contributing factor to “serious” prostate problems! Like saw palmetto, Lycopene is hyped up by pill manufactures that don’t know what they are talking about and who are just out to make money. You will note that none of the products in our “Top 10” have Lycopene in their formula. The top companies know what a sham it is. We could write pages on Lycopene, but there isn’t the space here – so in our newsletter there is much more on Lycopene and what garbage it is. Numerous studies have shown how important minerals are to prostate health and good health in general. You will live a longer and healthier life if you follow good mineral nutrition. It has also been shown that virtually every disease or medical condition is due in part to some form of mineral deficiency. When it comes to prostate health the most talked about minerals are zinc, selenium, and to a lesser extent chromium. Zinc and selenium are crucial and that is why you see them in virtually all prostate products. But there are other mineral they you also need. If you are not taking a daily mineral pill you should start. Go to your local GNC or a good health food store and get a good brand. A daily mineral pill is important. There is good news and bad news about booze. First the bad news – excessive alcohol is extremely bad for your prostate. It’s also bad for your health in general, so if you are a heavy drinker, try and cut down as much as you can. The good news about booze is red wine has been shown to be beneficial. I’m sure you have heard of the “French paradox”- that is how the French drink so much red wine, yet have low rates of heart disease and other diseases associated with alcohol. Highly regarded studies have shown that red wine (not so much white wine) contains polyphenols from the skin of the red grape, and these polyphenols have incredible health benefits. That is what has lead to the popularity of Resveratrol supplements. Most resveratol pills are garbage though – they contain very little of the active ingredients. A few companies make a good product and use high grade extracts. Longevinexx is the best product we have tested. In terms of drinking, you can safely have one or two glasses of red wine a day. Red wine is far more beneficial than white wine. Smoking of course is idiotic. The best ingredient for your prostate health is beta-sitosterol. Beta-sitosterol is found in literally all of the vegetables you eat, and it is the most prominent plant sterol in nature. There have been dozens of classic double-blind studies on men regarding the effects of beta-sitosterol on BPH or enlarged prostate that have appeared in major medical journals over the last thirty years. Studies from all over the world, at highly reputable hospitals and clinics, have all confirmed that beta-sitosterol reduces prostate enlargement in men suffering from BPH. No matter how old you are, no matter how bad your situation, beta-sitosterol can improve your health. Once you start taking beta-sitosterol for a few months you won’t believe how much better you feel. And the longer you take it the better you will feel. This ingredient is literally a “game changer” and every man over the age of fifty should take it. Plus, another bonus – it is also clinically proven to lower cholesterol. There are products for both men and women with beta-sitosterol that are designed to lower cholesterol. It is the hottest supplement in the world- nothing but great things come from it. Overweight men have a much higher rate of serious prostate problems than men who are trim. This probably seems like pretty obvious advice, but some guys still need a reminder. The heavier you are as you get older the more danger you are in. You don’t see too many super heavy 70 & 80-year-old guys walking around. Being fat can be deadly – and it is terrible for your prostate. So if you are heavy, don’t sweat it, but get started making a change. Just start walking and change your eating habits and start knocking off some weight and before you know it you will be on your way to getting healthy. Being thin helps your prostate troubles as well. Simply put, vitamin D is the single most important vitamin for your prostate. You have probably read or heard about all the new findings on vitamin D3 and its numerous health benefits. They science is overwhelming. What it does to prevent serious prostate problems is incredible. Remember, vitamin D does not naturally occur in the food we eat in any significant amount. So you have to supplement. If you are not currently taking a vitamin D pill every day – you should start ASAP. Solgar is the top brand we recommend. Many of the top products have vitamin D in their formula. 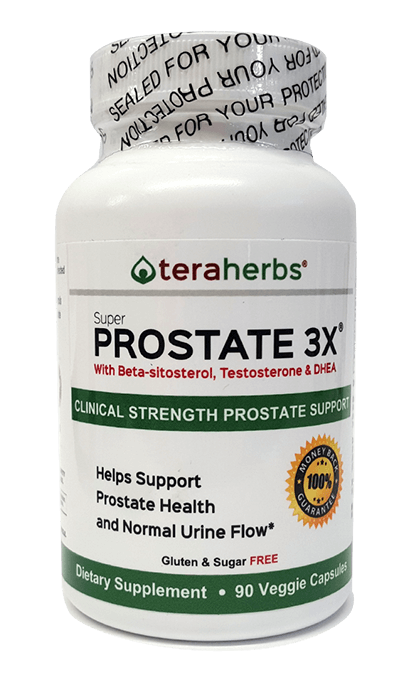 Don’t make the mistake of thinking all you have to do it take one of the top rated pills and you prostate problems will magically disappear. 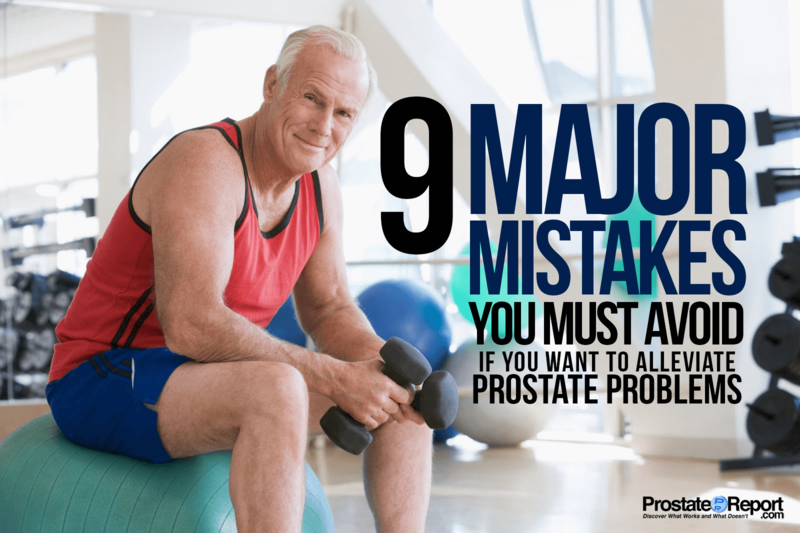 While the top products can make a significant difference in your prostate health even if you don’t follow any of our other tips, but it you wan to get incredible results- try and avoid making the mistakes listed here. you look at the lab reports on the products in the drug store you will see that most of them are basically worthless. Literally worthless. So many men have written to us and thanked us for exposing what a scam saw palmetto is and how most drug store prostate supplements are a waste of time and money. They write to say how much better they are doing once they started to take one of the top products as revealed on our website and laboratory tests. In short – stay away from the cheap junk sold in your local drugstore. Get Even More Lab Tests and Inside Secrets From Dr. Dan on How To End Your Prostate Problems! LEARN THE SECRETS HOW TO END PROSTATE PROBLEMS!